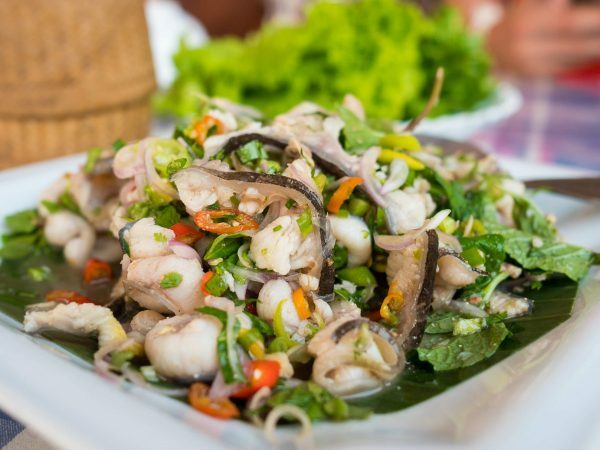 Champasak, Laos is a quaint town, with a few beautiful French colonial buildings and an attitude of relaxation. The town is positioned directly on the banks of the Mekong River and only 10 km from the UNESCO world heritage temples of Wat Phou (also spelled Vat Phu or Wat Phu). I left my Guest House right at around 7:30 am by bicycle and arrived at the quiet Wat Phou complex at 8 am. There was only 1 other person there when I arrived (unlike the 30,000 others at Angkor Wat in Cambodia). 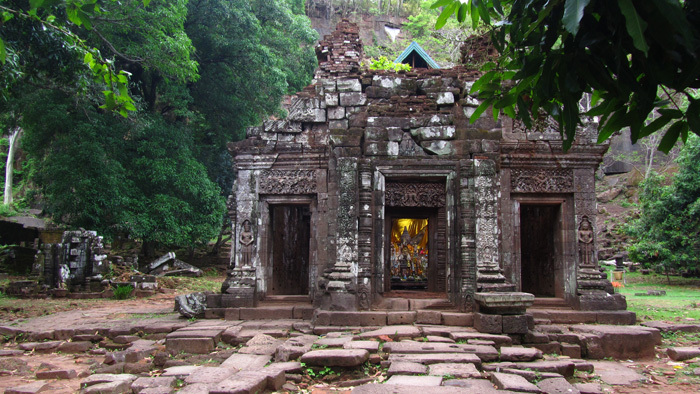 The Wat Phou Hindu temple complex is located on the side of a symbolic sacred mountainside called Phu Kao, overlooking an ancient city that was previously built on the Mekong plain below. 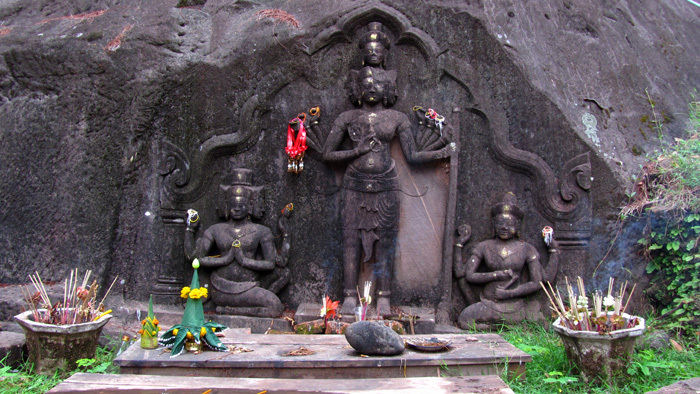 The complex dates to the 5th and 6th centuries AD, and is dedicated to the Hindu deity of Shiva. 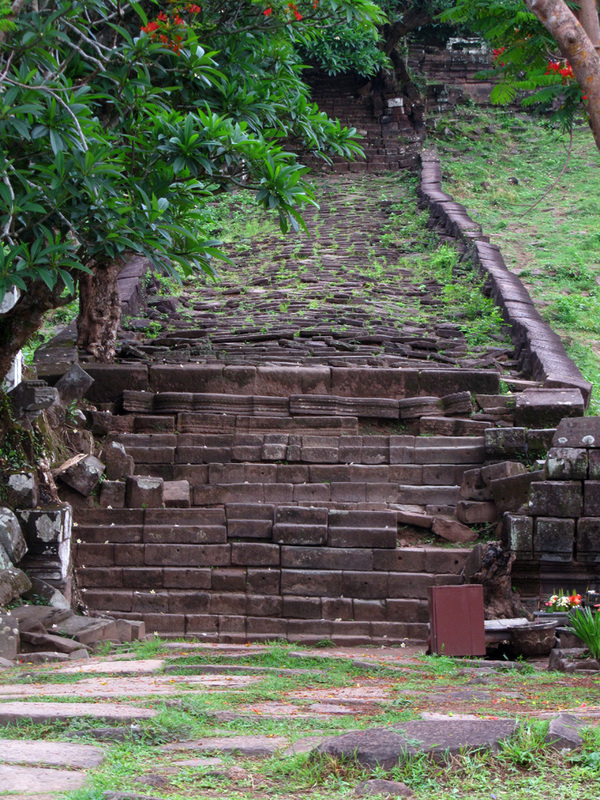 At the top of the temple is a freshwater spring that flows from the rock, one of the reasons the temple was built and stood strong from before the main Angkorian period of Khmer rule. There was a mystical feeling while walking through Wat Phou, the feeling of entering the gates of an ancient force, a powerful kingdom in its time. It actually reminded me of visiting Prambanan temple in Indonesia, except this was much more peaceful and in an overall more beautiful setting. The bottom level of the compound was set up with 2 different palace structures, a left and right building with a stone walkway through the center. Though the condition of these 2 structures was not great, the detail of the the surviving stones was incredible. I continued up the trail, hiking up a few flights of stone stairs and reaching the temple sanctuary on the final terrace. 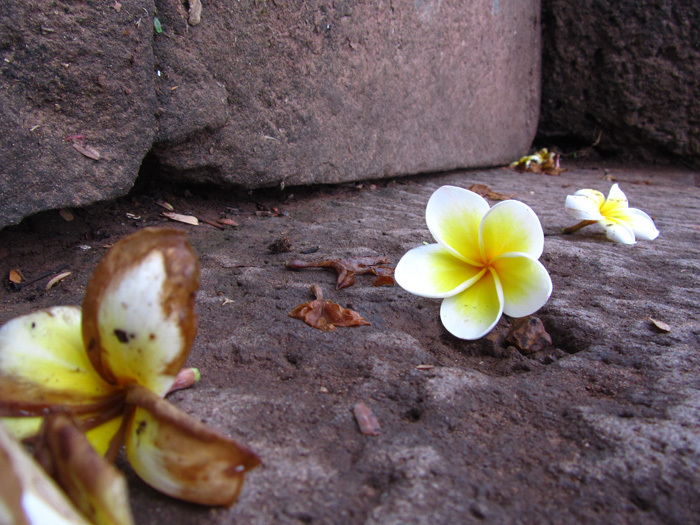 Plumeria trees were sprouting everywhere, finding ways to grow their roots over impenetrable stones to hold on for dear life. At the top of the hill was the main temple attraction of Wat Phou, a scenic building of crumbling blocks and elaborate reliefs carved deep into the stone walls. Posts and lintels were utilized in the construction of the temple. 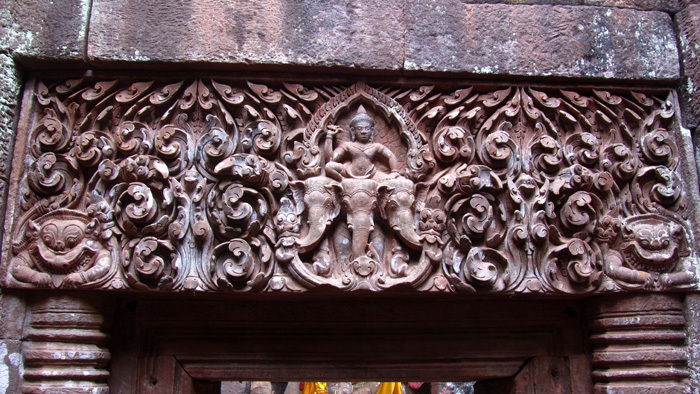 The most impressive part of visiting Wat Phou were the carvings, cut deep into the stone. This particular lintel (below), hovering over the top of a doorway, was breathtaking, a true masterpiece of intricate craftsmanship. 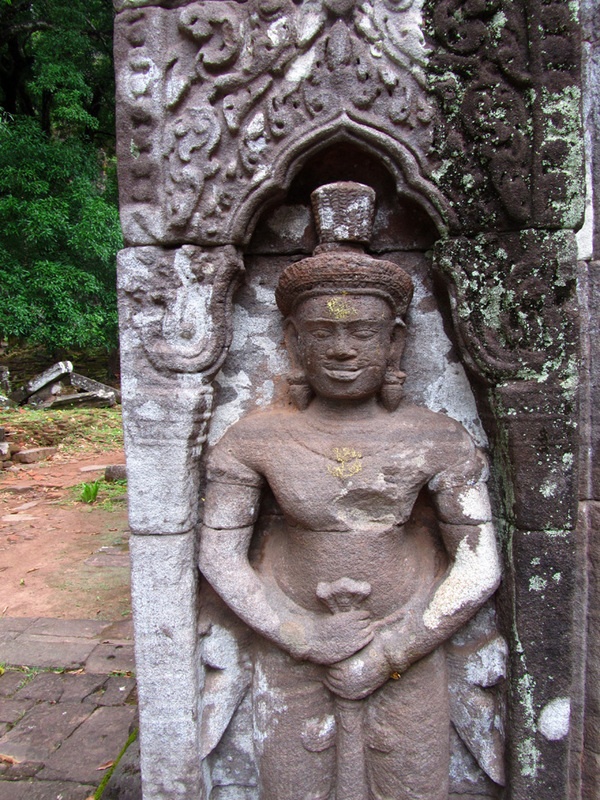 At the back of the Wat Phou temple sanctuary was an active shrine. 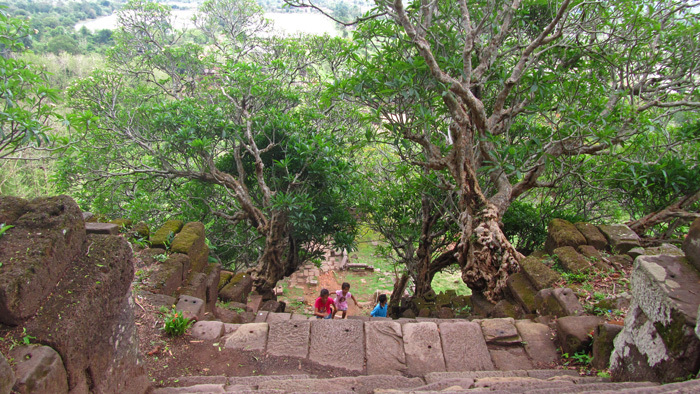 Surrounding the sanctuary temple on the top level terrace of Wat Phou, was a natural scatter of giant boulders with a variety of statues carved straight into the walls of the rock. Mango trees were in abundance around the entire Wat Phou compound; I literally sat in the stillness, listening as mangoes would naturally fall to the ground and then swoop in like a vulture and scoop them up for a treat. They were small but packed full of vibrant organic mango-ness! A few hours later, a number of tour groups did arrive, but not near the tourism potential. One of the undeniable reasons Wat Phou was so beautiful was due to the lack of others enjoying the sight, making it quiet and naturally serene. 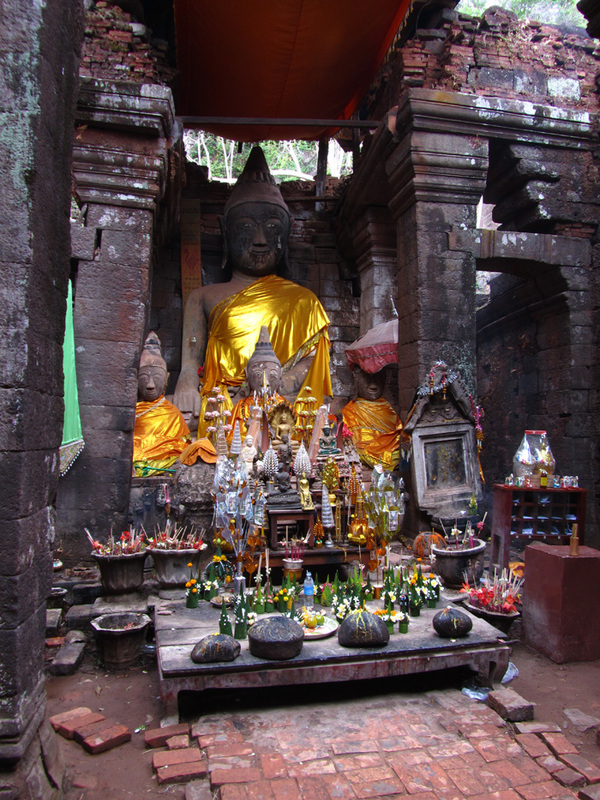 Wat Phou is a tourist attraction where it’s still possible to sit in silence and enjoy the ancient wonder in peace. How long do you need to see Wat Phou? I was there for about 4 hours, but anywhere from 2 – 6 hours should suffice. For more information on visiting Champasak, be sure to click here. 30 comments. I'd love to hear from you! Hey Monika, great to hear that, I know you’ll enjoy Wat Phou! Hey Sarah, Laos is a good choice as is Thailand and Vietnam. 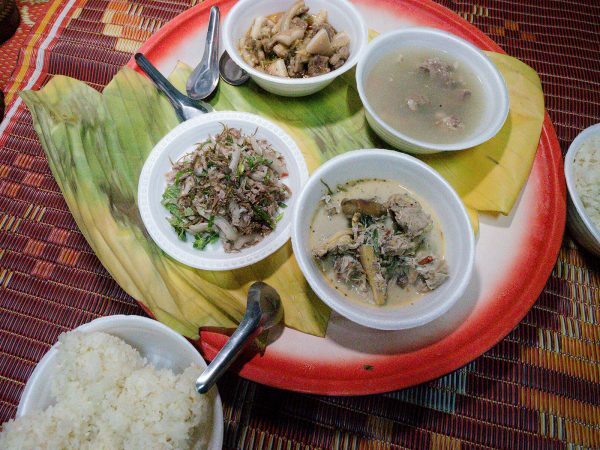 Laos is relaxing, good food, and a nice culture. Let me know if you have any other questions. This place is stunning! Never heard of it before. Thanks! Hope you have a chance to visit! 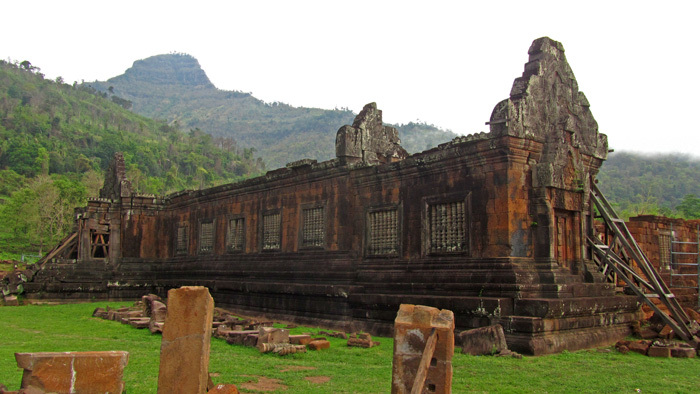 I think Wat Phou, though similar in ruins, just feels so much different from Angkor Wat. I visited Angkor Wat a few years prior to visiting Wat Phou, and it’s the peaceful setting and serenity that really made it special and stand out. Right about the location, very key to the site! Thanks Chris, yah, if you get a chance, it’s really a fantastic site. The early morning at the temple was one of the most memorable a.m.’s I can remember in a long time. Yah, at first, but then more people did show up, but not too many! Great pics. Temples are so awe-inspiring to me. I love a mysterious ruin too, especially a deserted one. But what’s so sad when you visit these temples is that there is nothing left of the Khmer civilisation. All that’s left is ruins in Cambodia, Vietnam and Laos and small groups of Khmer people living in Vietnam and Thailand, where they’re known as just one of many ethnic minority groups. Yah it is sad and frightening how so many civilizations have come and gone throughout history, or blended into others culture. 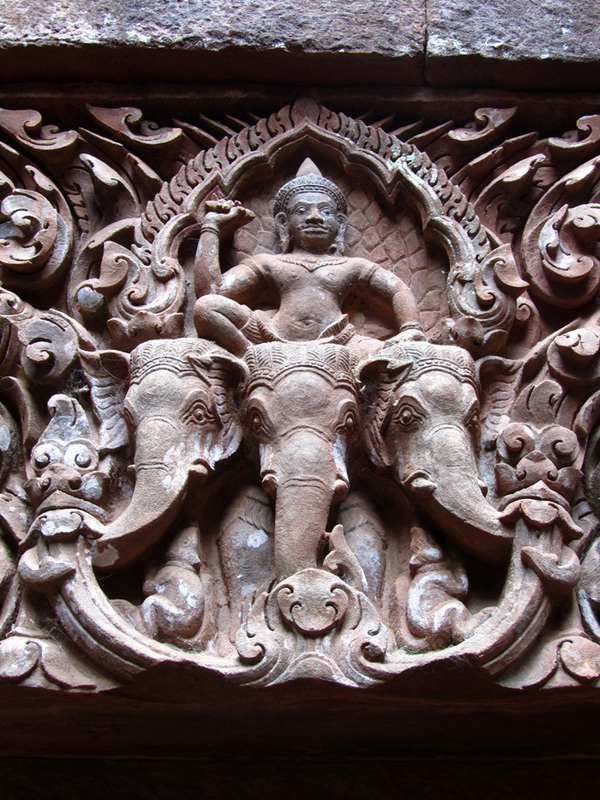 It would be cool to see a completely preserved Khmer culture. oh man we love ruins with no tourists. it just adds something incredibly special to the experience. havent been to laos yet, but will definitely keep this in mind for when we get there. and wow, how good are freshly fallen mangoes! could eat them all day. Right about that! Not overrun with tourists offers an entire different feel to a historic site. 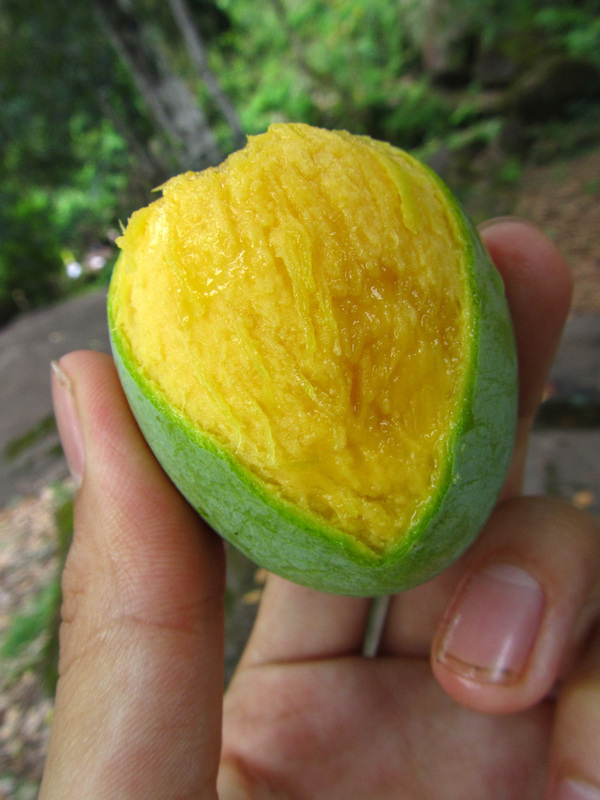 The natural setting and for sure the fresh mangoes were also real bonuses with Wat Phou! 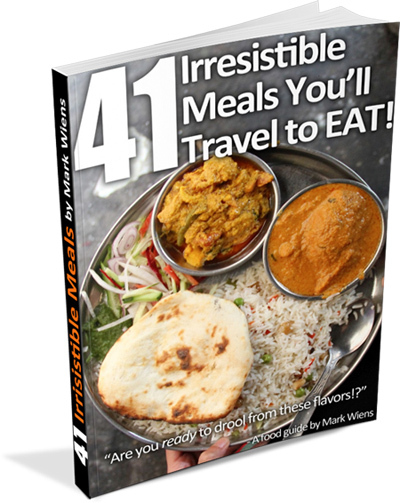 Hope you guys can check this out when you visit SE Asia. Thanks so much Eileen, glad you enjoyed it! Not many things, but this temple really makes up for it! Love all the detail on this temple especially the elephants! The temple is beautiful but so is the surrounding countryside. 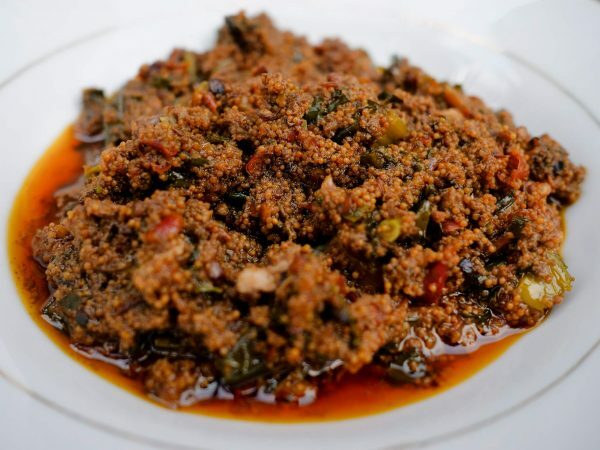 I haven’t been to this part of the world but enjoy ‘visiting’ via your pictures. I think the surrounding countryside is what really added to the beauty of the temple – it was really beautiful. Hope you can visit this part of the world sometime!